Happy Wednesday Everyone! 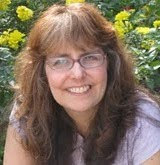 Today I’m excited to have debut author Gillian McDunn here to share about her MG contemporary CATERPILLAR SUMMER. It sounds like a story with memorable characters that will really pull at your heart. And it has a cool setting—an island in North Carolina. Before I get to Gillian's interview, I have news and my IWSG post. Right now, there is no monthly book giveaway hop scheduled in April. If there isn't one, I'm planning to start a newly released MG and YA giveaway the third Friday of the month starting in April. I will also offer books I've recently spotlighted. So my first post will be on April 19th. It's a way for me to feature new books, and hopefully you all will want to stop by and enter the contest. I'll continue them if I feel there is enough of an interest. The co-hosts this month are: J.H. Moncrieff, Natalie Aguirre, Patsy Collins, and Chemist Ken! First of all, I'm really happy to be a co-host again this month. I'm glad to Alex and the rest of the IWSG team and get to meet more members of this group. I'd use my wish for help with my first chapter. It's such an important chapter in terms of grabbing a reader's, agent's, and editor's attention and pulling them into a story. I struggle with my chapter and often rewrite it. In fact, I'm wondering about that now for my current manuscript. What about you? 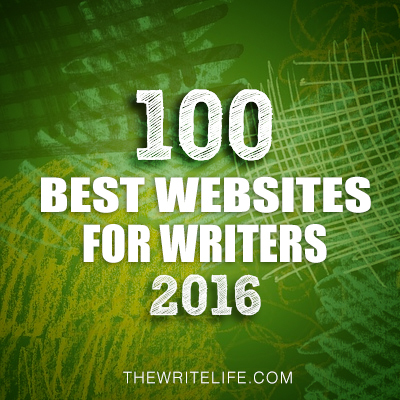 Where do you need the most help in your writing? can keep Chicken happy. When he has a "meltdown" she's the one who scratches his back and reads his favorite story. She's the one who knows what Chicken needs. Since their mom has had to work double-hard to keep their family afloat after their father passed away, Cat has been the glue holding her family together. Hi Gillian! Thanks so much for joining us. I’ve loved books ever since I can remember, and have always dreamed of being a writer. 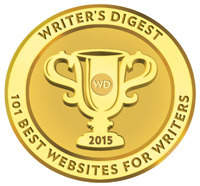 I wrote professionally for a number of years--technical writing (software), training materials, grant writing, public relations writing--but inside I felt like something was missing. One day I decided it was time to try the thing I’d always wanted to do. 2. I'm a contract writer now and as much as I enjoy it, wish I had more time to write for myself too. Where did you get your idea for your story? When I write, I start with relationships. I had the idea for a protective older sister who would keep her little brother safe, no matter what. After that, I started asking “what if” type questions until the story began to come together. I wanted to explore all kinds of family dynamics: siblings, mom-daughter, grandparent/grandchild. I was also inspired by my love for the North Carolina coast, which is where the book takes place. 3. Like your main character, Cat, you were a big sister to a brother with special needs. How much of this experience did you rely on in creating Cat’s relationship with Chicken? And how did you pick their names? For CATERPILLAR SUMMER, I borrowed aspects of my relationship with Andy. He had multiple disabilities and the two of us were very close--I was his sister, his helper, and his protector. I wanted to capture a multifaceted sibling relationship--where responsibility and love and joy all mix together. Chicken’s needs are very different from Andy’s, but I hope I captured some of the feel of my relationship with my brother. As for their names, Cat’s name is short for for Catherine and Chicken’s is a nickname for Henry. Their mom is a picture book author/illustrator of a series called Caterpillar & Chicken and she bases these characters on her children and their relationship. Mom’s work (and the way she sees her children) is a big theme in the book, and several of “her” illustrated picture book manuscripts appear as books-within-the-book, beautifully illustrated by Alisa Coburn, who also did the cover. Cat begins to feel a bit pigeonholed when she reads Mom’s books. In the stories, Caterpillar is patient, wise, and a bit self-sacrificing--always for Chicken’s sake. Cat loves her brother deeply, and she also wonders if she’s more than those qualities. I hope it will be fun for readers to analyze Caterpillar’s actions and what that means for Cat. 4. That's great how you drew from your own experiences but also made your story different. From reading reviews, it sounds like your characters—not just Cat and Chicken—are really memorable and pull at readers’ hearts. Creating vivid characters that readers are invested in is hard. What’s your advice on doing this? likes/dislikes. I look for their significant moments and also spending time thinking about their favorite breakfast cereal. Even if most of this information doesn’t make its way directly to the written page, it helps me make sense of the characters as real people. After that writing is done, I interview them. This is my favorite way to feel everyone’s voice. Once those parts are down, I usually feel ready to start drafting. 5. What was a challenge you faced in writing CATERPILLAR SUMMER either before submission or when working with your editor or agent? How did you overcome it? One of my biggest challenges is learning to be more patient with myself. I need a lot of time to noodle around with ideas before I start writing. If I have enough thinking time, the writing part tends to flow quickly. Yet sometimes I’m hard on myself on those days I’m not racking up an amazing word count. It’s not something I would say I’ve overcome, but I’m definitely improving. Some things that help: talking with my husband (a extremely process-oriented person), walking my dog, cutting back on screen time, reading, spending time outside. Each day I’m learning to trust the process (and myself!) more and more. 6. I have to be patient myself too. Thanks for the great advice. Your agent is Marietta Zacker. How did she become your agent and what was your road to publication like? I queried Marietta in early December and she requested the following week. In January, she sent me one of the most special letters I’ve ever received. She was offering a revise and resubmit, which was exciting in itself. But it was her brilliant insight in her letter that blew me away. I read the whole letter thinking “yes, yes yes!” That same week, I was lucky enough to have a call with Marietta and Erin Casey, a junior agent at Gallt & Zacker, and they impressed me even further with their comment and thoughts. I was so excited that I was shaking--my teeth were chattering at one point! I revised and sent to her in early March, and Marietta told me she’d get back to me within two weeks. I remember telling myself that I couldn’t handle being on edge for an entire two weeks. I told myself that I would have to wait a solid seven days before I could start checking my email every few minutes. But the next day, my phone rang and it was Marietta offering representation! It was a thrilling moment, and one I will always remember. Marietta found the perfect editor--Mary Kate Castellani at Bloomsbury. After I talked with Mary Kate on the phone I was pretty much sold. She is a GENIUS and also incredibly sweet and kind. It’s really lovely working with her, and everyone at Bloomsbury has been fantastic in general. I’m very lucky. 7. I saw on your website that you are attending a number of book festivals and the Texas Library Association as well as having a release party. How did you decide to participate in these and get invited? See above for how wonderful Bloomsbury is! They suggested the events and did all the pitching and planning. I am absolutely thrilled to participate. I love books and book people! 8. That's awesome how your publisher helped you with this. How else are you marketing your book? Release week, I will be on tour with stops in St. Louis, Wichita, and Houston. Locally, I have several school visits planned for release month. I love talking to kids! I’ve been an active member of the Novel 19 debut group and participate in their monthly Twitter chats (on the 19th of the month at 9pm). 9. Your book is just releasing. What’s something that you wish you would have done or known earlier that might have helped you with the release of your book? 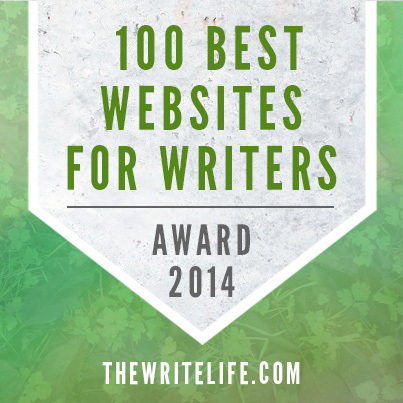 When I began writing, I never anticipated how special my friendships with other writers would be. I’m currently working on revisions for my second book, which explores girl friendships and social aggression. It will be out in 2020. Gillian and her publisher are generously offering a hardback of CATERPILLAR SUMMER for a giveaway. To enter, all you need to do is be a follower (just click the follow button if you’re not a follower) and leave a comment through April 20th. If your e-mail is not on your Google Profile, you must leave it in the comments to enter either contest. First chapters are key! I'd ask for help with endings, though (my beginnings all start the same way, so I have those downpat, ha). Congratulations to Gillian and best wishes for that second book! I agree, Natalie. I can't start a new book until I visualize and commit to that first scene. It's the kick-off in tone for what follows. Thanks for co-hosting this month. Gillian, I adore your cover!! Hi, Natalie, I agree with you about the first chapter has to be topnotch. And I also go over those first three chapters with a fine tooth comb. Congrats to Gillian, and her book sounds amazing!! I've returned to the first chapter jitters. :( Thanks for co-hosting, Natalie! Critique partners can always help you with the first chapter - they will tell you if you started in right place. And Gillian picked some memorable nicknames for her characters. The first chapter. Sheesh. I keep going back to the beginning when I should be plugging through the middle of my WIP! You're so right about the first chap being the hook, the push and pull, the everything!! Thanks for co-hosting. Thanks for that interview with Gillian - a fascinating insight to her 'journey'. Seems like a lot of people want magical help with that first chapter. Thanks for co-hosting, Natalie! I need help with the first chapter as well. Sounds like Gillian's story shows the importance of kids being kids. A lot of anxiety is created when kids are parentified. Caterpillar Summer has such a lovely cover! Congrats to Gillian on the new release. Thanks for co-hosting the IWSG blog hop this month, Natalie! I find the first chapter I write rarely ends up as the first chapter of the book – sometimes it gets moved, sometimes rewritten completely and sometimes most of it is deleted. We do have to start somewhere though, so I try not to fret over this. A good first chapter really does make a difference. Thanks for the cool interview. The book sounds sweet. I work with kids with special needs and think I'll like this. The cover is lovely. I adore the sound of this book! Special needs people contribute more to our lives than most people realize and I love when this shines through :) Caterpillar Summer sounds right up my alley!! Natalie - first chapters are tough - they have such a big job to do!! What a cool interview and a lovely story to introduce. I love the cover and concept. I like that authors a showing more diverse representation in books, especially for young readers. Thanks for co-hosting today, Natalie! The first chapter always gets the most revisions for me. Congrats to Gillian! Being patient with myself is something I have to work on too. I must change the first chapter of each book at least a dozen times. Later in the story if I discover something that affects the first chapter, I have to go back and fix it right away. (a little OCD there) I'm interested in your MG/YA giveaway. Thanks for co-hosting this month. Gillian, what an entertaining story. Best wishes. Cute cover! Sounds like a great story. Best of luck! I rewrite the beginning more than any other part of the book. It's so important to do that part right, or at least "right" to best of you ability. When my youngest was much younger, we sometimes called her "Chicken" and not for being scared. At this point, no nicknames are allowed, not even shortening her name. Caterpillar Summer sounds like a charming book. Best of luck with your launch! I adore the cover of Caterpillar Summer! I, too would chose the first chapter, or the last! Thanks for co-hosting this month! Great to meet Gillian and learn about her book. The title alone hooks my interest! Love your idea of a giveaway. It seems you have a great deal going on Natalie. All good. Yeah, those opening chapters are tough. I find I'm usually a little too heavy on the backstory in my first go around! Thank you for cohosting too! What a busy post! It's more of a magazine than a simple article--love it. I'm with you on the first chapter. That's what I wrote about too! Getting in and talking to the kids is so important. Enjoy those school visits, Gillian. I agree, that first chapter is the most important. 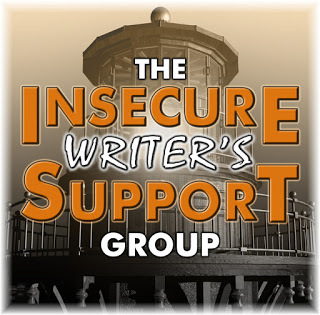 Thanks for co-hosting IWSG this month! 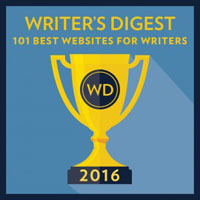 I agree that first chapters are so crucial for getting an agent, editor and readers' interest. I often struggle with first chapters, constantly revising them. Thanks Natalie for co-hosting this month. Well done, Gillian! Patience isn't easy. I said first (and last) chapter, too. Both are so important. Thanks for co-hosting today, Natalie! Usually by the time a book is released I've read and reread the first chapter so many times I'm sick of the words! ha. Thanks for co-hosting today. Congratulations to Gillian on her new release, as well! It sounds fascinating. Congrats Gillian. Sounds like a fun read. I need help with all of it but the middle gives me the most pain, lol. Thanks for co-hosting. Sounds like a really heart-felt book and the next one sounds great. Social aggression is a big thing with young girls. I enjoyed the interview. And I think I would like help with the middle chapter - sometimes the middle needs a little help. Fascinating interview! Must be a good book too. Unlike you, Natalie, I never have troubles with the beginning of any story I've ever written. My problem is usually the ending. I'd write the beginning and the middle and stop, because I don't know the story's conclusion. I'm struggling with one such an elusive ending right now. I guess getting past the first chapter can be the biggest challenge sometimes. Once I get started writing something I often get on a roll with whatever it is. Those first chapters are so tricky to get right. Oh my gosh I LOVE the cover of CATERPILLAR SUMMER!! So gorgeous. First chapters are so important to keep the reader turning the pages! 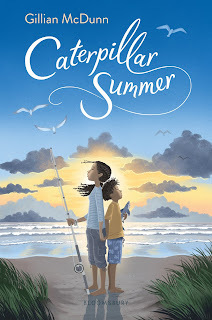 Great interview - Caterpillar Summer sounds that a fabulous book and the cover is so cute. Thanks for co-hosting today. First chapters are very important. Using a wish to score the perfect beginning is a good idea. Hey Natalie. Thanks for co-hosting. Join me in the 'difficult first chapter club'. Let's hope we nail this thing! A thoroughly enjoyable post, Natalie, and thanks for cohosting today. Congratulations to Gillian on her upcoming book! Looks like you have a lot of big plans! First chapters are important. So are first pages. Great interview-- sounds like a really good book. I love the sound of this book, Gillian. Congratulations. Great interview. And, Natalie, thanks for co-hosting today. That first chapter is a tough one for me, too. Natalie - the first chapter is the hardest to get right! 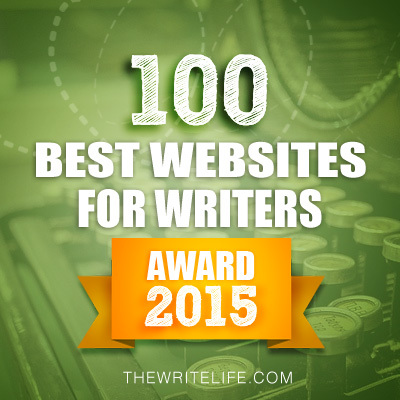 There's so much to do - to hook the reader, get the story introduced and started, and ...more. Love the interview and thanks for co-hosting today! I'd use my wish for the first chapter, too. Good to meet Gillian and hear her story. Happy April! This is the first time I'm hearing about this debut, and it sounds wonderful! 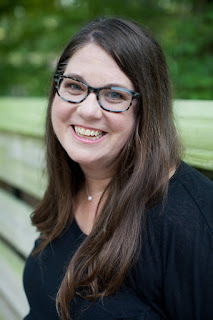 I am always thrilled to discover and support a new North Carolina author :-) We have so many amazing MG and YA authors in the state, and so excited to add Gillian to my list to follow! I would love to win and read CATERPILLAR SUMMER. I RT'd both your and Gillian's tweets about this interview and giveaway. My email is bryanholly34 (at) gmail.com. Thanks as always for a great interview, Natalie! Thank you for co-hosting, Natalie! I think my wish would be to have help with my ending. Congrats to Gillian! Love the cover! First chapters are tough. They set the tone for the rest of the book, so it’s so important to get it right. Endings are my biggest problem. Ugh! Congratulations to Gillian! Now I want to go to the North Carolina coast! Sounds like an interesting read love this cover. Another wonderful interview. Thanks for that. I have been hearing a lot about this book and can't wait to get my hands on a copy. Thanks for the chance. This sounds like a feel-good book, for sure. Great interview. I love this: "even the most broken or strained relationships can be healed if people take the time to walk in one another's shoes." It's all about understanding what another person is going through. The book sounds fantastic, Gillian. I really enjoyed the interview, Natalie. I also have trouble with patience. I also believe that our characters become more real with detailed backstories. Thanks for cohosting IWSG's April question. The first chapter is the most important one, but I'd rather use my wish for a pitch that would catch an agent's attention. :-) Maybe I should use that wish for my first chapter instead? So far, I have no luck finding representation, so reading Gillian's "dream scenario" about finding a fantastic agent, editor, and publisher is inspiring! I also enjoyed reading a bit of the backstory of Caterpillar's Summer. Based on the work, talent, and ideas involved I'm not surprised she was successful publishing it. Good luck with the release, Gillian, and thanks for the interview co-hosting this month, Natalie! Natalie, was wondering if you're participating in the A to Z Blogging Challenge, because I can't find any posts relating to that? Thanks for dropping by my blog and commenting! Being more patient with myself is something I need to learn how to do, too, Gillian. Caterpillar Summer sounds like a great read! Thanks for co-hosting! The first chapter IS the hardest. I think my first chapter of my current project has become one of the newer written scenes in my book! For me it's the middle chapter. I always waffle and get stuck in the middle. Which is why I've started writing from the middle, to the end and then to the beginning. Very interesting interview, definitely found some cool answers here, I enjoy learning about authors.